ErtelAlsop’s Cylinder Laboratory Filters are constructed of type 316 stainless steel with volumes ranging from 250 ml to 8000 ml. Stainless steel cylinders are rated for pressures up to 50 PSIG, and can be furnished with an optional heating or cooling jacket. A protected Pyrex® glass cylinder, or a Polycarbonate cylinder, is available for filtration up to 30 PSIG. When running trials, which require more than one filtration stage, ErtelAlsop, offers an optional dividing flange. 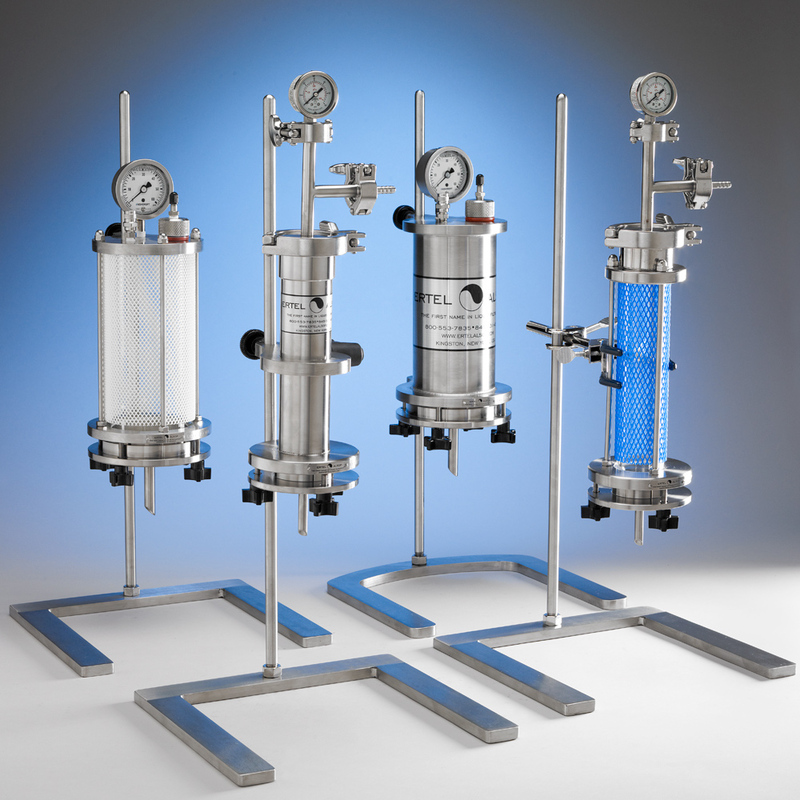 This design allows for an infinite number of filtration stages, providing unlimited flexibility. This option can be supplied with the lab filter, or at a later date without any modifications to the original system. The O-Ring seal design provides the versatility to use a variety of filter media of different composition and thickness.